Posted September 2, 2009 in Disney, Fantastic Four, Jason Garrattley. 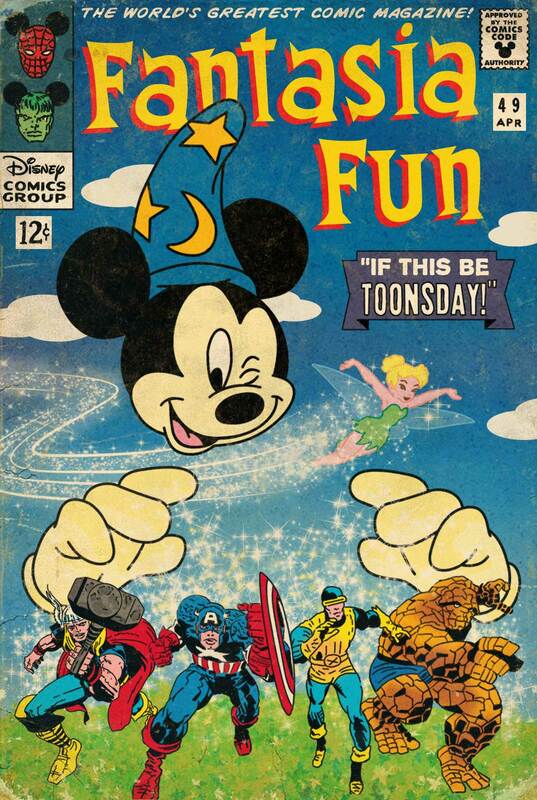 Now that Disney have agreed to buy Marvel Comics, will we see a return to more child friendly comics? A more cynical first draft of this piece here found at my flickr page here. The original cover to Fantastic Four #49, by Jack Kirby and Joe Sinnott, can be found here.